Art Prize is an exquisite connection for artists and art lovers to come together from across the globe to share inspiring art and discuss new concepts while exploring the great city of Grand Rapids.Creative energy simply buzzes throughout the venues and the feeling of joy is ever-present. 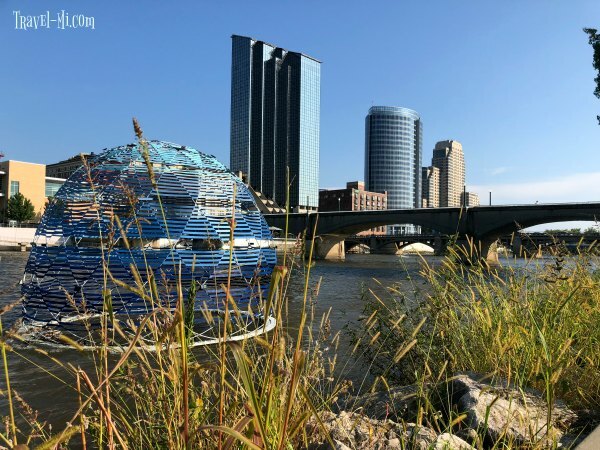 Artists create installations and display their art in a variety of venues throughout downtown Grand Rapids, MI. 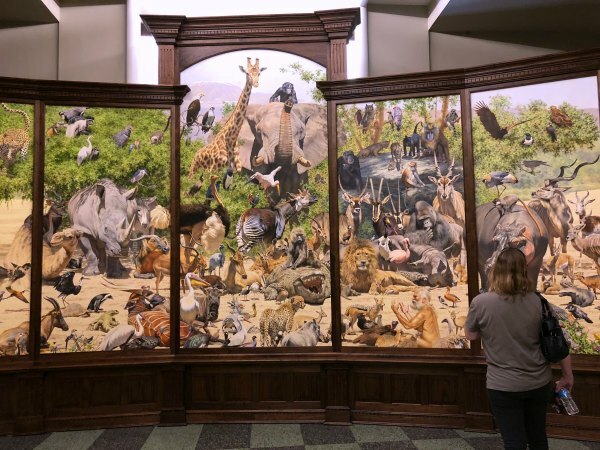 The public can view the art for free during ArtPrize. Where is the artwork displayed? We have a list of our favorite places below! 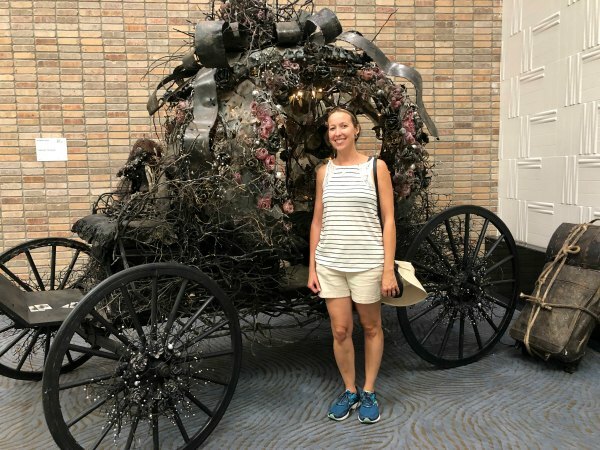 First time visiting ArtPrize and Grand Rapids? See our insider tips, parking suggestions and guide on how to get around Art Prize like a local. The show, for me, is absolutely phenomenal. 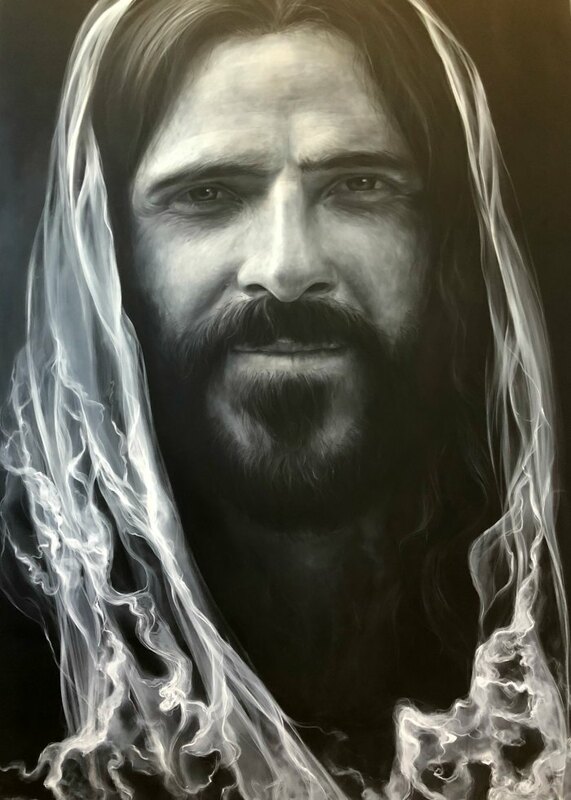 I get so inspired speaking with the artists and those viewing the art. Plus we get to visit beautiful Grand Rapids, MI! 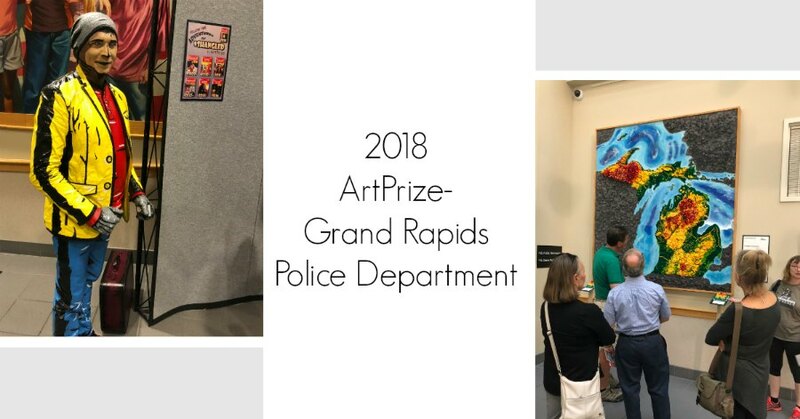 Visiting Art Prize With Children? We have maps for ArtPrize including venues that your children will love! ﻿We always start at The B.O.B. (20 Monroe Ave NW, Grand Rapids), as it houses around 70-80 pieces of art within the two story eclectic venue. See who can spot the walls covered in smashed cans!! Plus it's a great place to grab lunch. There is a good restaurant on the second floor that offers a buffet of salad, pizza and pasta for around $12. Very fresh, healthy options. Don't miss the basement as artists are on hand creating work and it's fun to discuss their creative process. Plan to spend at least an hour here. 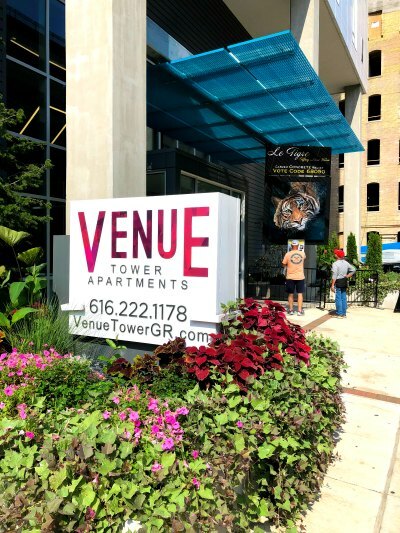 Right next door to The B.O.B is the Venue Tower Apartments with about 30 entries. 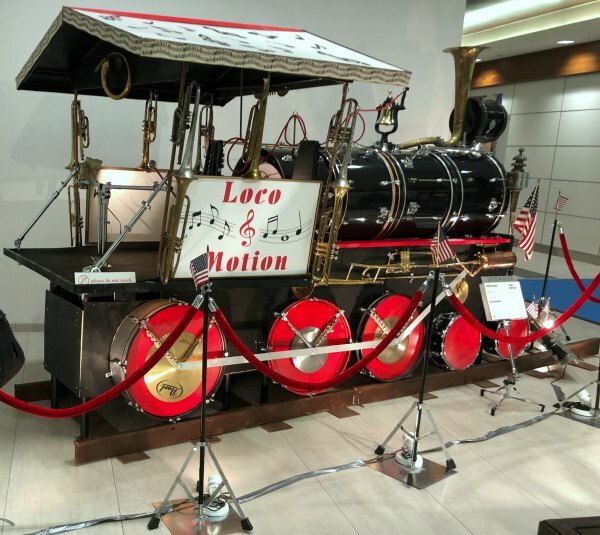 There are paintings, a holographic exhibit and an exhibit with sounds. You can see this in about 10 minutes so it's worth a quick stop. Plus they have a restroom. Homewood Suites (161 Ottawa Ave NW, Grand Rapids) was an outstanding surprise this year. It housed my absolute favorite art which was this carriage with glass roses and tons of details. We loved this venue as there were many "wow" pieces. The Grand Rapids Art Museum (101 Monroe Center St NW, Grand Rapids) usually has large pieces that have that "WOW" factor. Plus entry to the museum is free! Plan to spend around 20 minutes there depending on the line to get in. 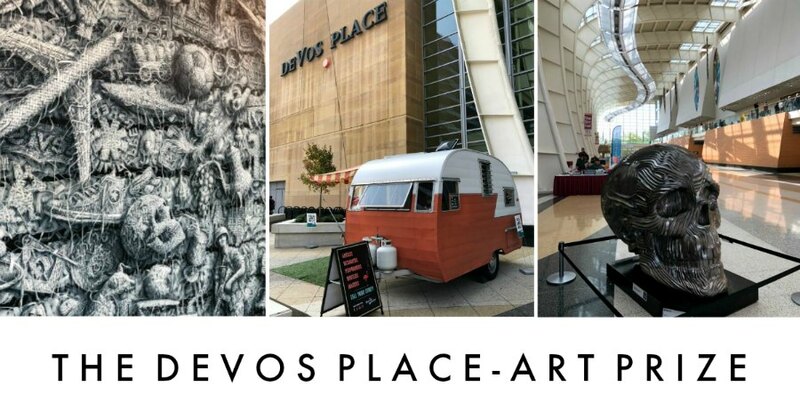 The Devos Place (303 Monroe Ave NW, Grand Rapids) is another huge venue with lots of entries. The space is breathtaking so don't miss it. Wander around, take photos and enjoy the beauty of the building and art. Plan about an hour at the The Devos Place. 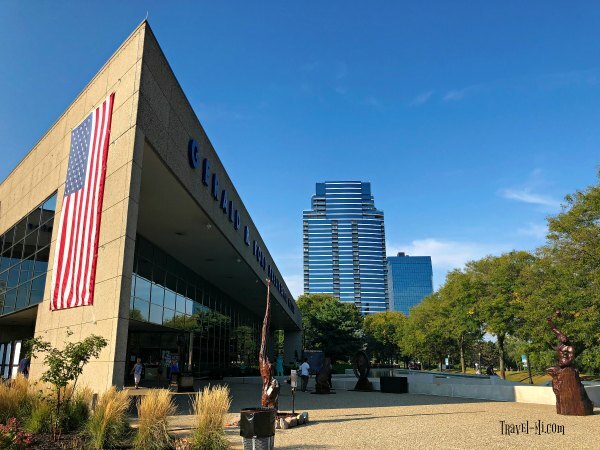 Be sure to continue along the very long highway to the left of the entrance of the Devos Place on the second level as ArtPrize entries are along this hall that connects to The Amway Grand Plaza hotel. The String Project is one of my favorite pieces that is the hallway between The Devos Place and the Amway Grand. 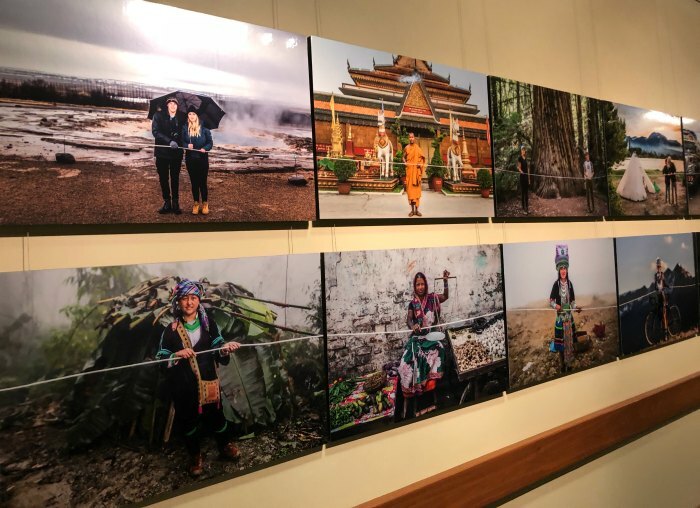 Very cool idea that the world is connected and what we do can affect others. Love the concept. To the left of this art piece is a tube that crosses a road and takes you into the Amway Grand Plaza hotel. Continue along!! The Amway Grand Plaza (187 Monroe Ave NW, Grand Rapids) is a must see venue during Art Prize. First, the hotel is stunning with chandeliers and their own art. Be sure to check out their great boutiques shops. 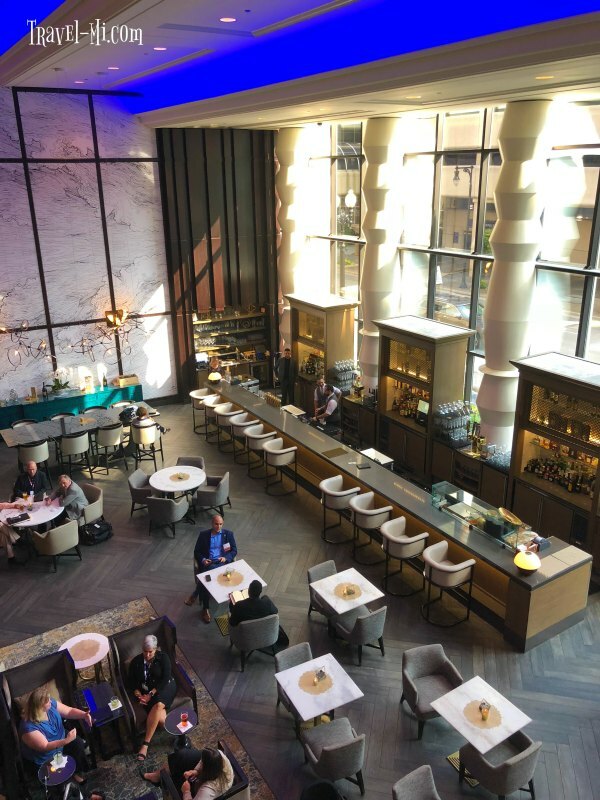 Plan to spend about an hour in the Amway Grand Plaza and maybe grab a drink or dinner. The majority of the art is located to the right of the reception desk. Restrooms are located to the right of the reception desk. Be sure to check out the amazing chandeliers!! Grand River Art-as you walk over the Grand River, be sure to look for art on the bridge and in the river. 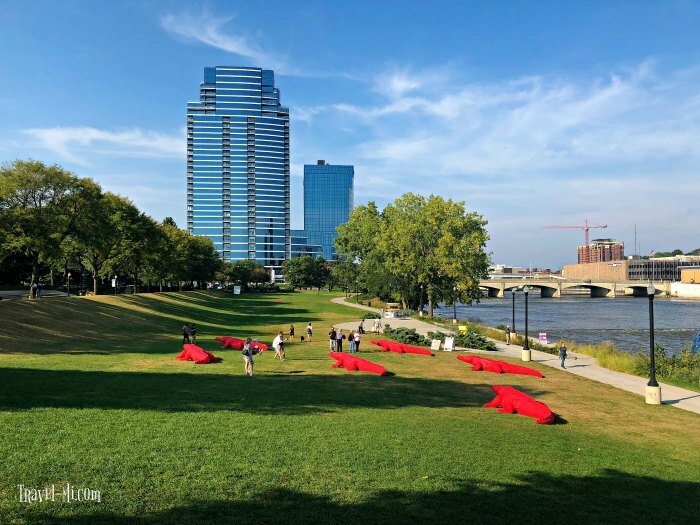 Each year artists think of creative installations in the river and the grassy area in front of the Gerald Ford. 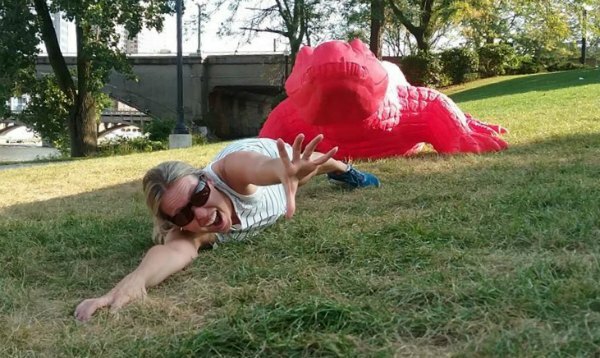 We felt it necessary to play with the giant red cast alligators. Lots of shenanigans ensued! Take time to relax and enjoy the area and the fantastic views of the city and the river! The Gerald R. Ford Presidential Museum (303 Pearl St NW, Grand Rapids) houses around 25 entries and is always a favorite of mine. There is usually exquisite sculpture, massive paintings and fiber art. LOVE IT HERE. You can then wander around the museum and visit their gift shop. Be sure to take photos of their fantastic outdoor fountain and visit the outdoor venues also. All for free. Time spent here varies as it depends upon your interest level and if you explore the museum or gift shop. Plan around 30-60 minutes. Grand Rapids African American Museum- (87 Monroe Center, Grand Rapids) This venue was also interesting as it housed a giant painting of Oprah and also some very striking drawings. This is a short stop but worth it for the quality of the art displayed inside. Arts are also on hand to meet. Grand Rapids Police Department -(1 Monroe Center NW Grand Rapids) This venue was also one of my favorite locations this year. Really outstanding art and we got to meet the 2D guy, Robert Shangle. Art Studios at 40 Monroe Center. 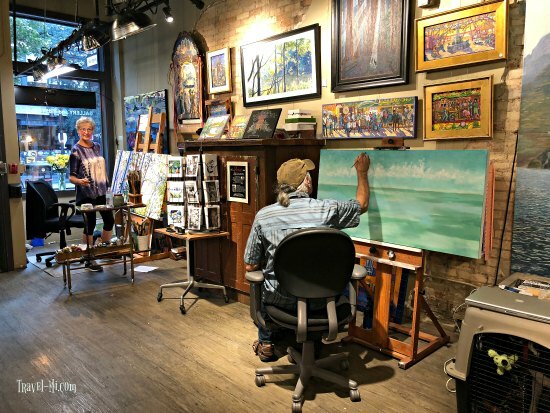 This is a working permanent studio for these artists. Plus there are numerous other ArtPrize exhibits in this space. The artists are very friendly and it's worth the stop! Be sure to visit Art Prize if it's the only art show you do this year. You can spend anywhere from an afternoon to three days visiting all the venues! I recommend starting with the big venues and then wander down Monroe Center NW, as I stated above. This will give you around 6-7 hour of art viewing. Enjoy! 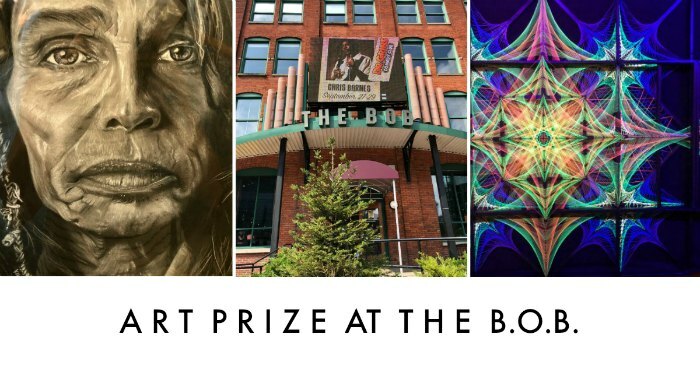 When is the Next ArtPrize? 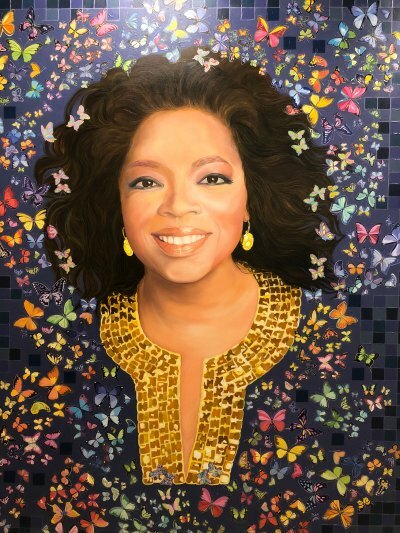 ArtPrize organizers changed the yearly show to every other year so the next ArtPrize show will be in September of 2020. Am I bummed?....absolutely.